The nopal juice industry is picking an extra dollar from your healthcare budget, and you probably feel good about it. But you shouldn't. 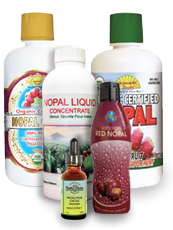 Many of Nopal products' manufacturing process imply extract juices out of nopal. Yes, they are 100% juice (yes, "Juice") and even almost all of them contain only certain percentage of nopal with fruits and vegerable extracts. They claim their products contain 18 discovered amino acids of nopal cactus but the study says drinking a simple juice format of nopal serves no purpose, doesn't do anything good for a human body. Even though they claim their products with nopal ingredient are good for you but that's no different than saying that grapes are good for you, and you don't see people advertising grapes juice as a miracle cure. They don't do anything to improve your health than drinking squeezed nopal juice you can make yourself in home. Under the current law, you have to list all your ingredients outside of a bottle for what you sell for a product like this. When you read the label of Nopalea Ingredients, there is probably only 5%~10% nopal juice in a bottle. The highest content in the bottle is distilled water (you have to list your ingredients in sequence of what you use the most as the first ingredient), which means, a good portion of your money goes to pay for water and the shipping cost of it. With the amount of sugar in it, diabetic individuals should use with caution. Desert Bloom, LLC. is the only manufacture that produces fermented nopal Extract juice that is 30 times stronger than a single strength bottle. 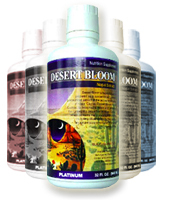 Desert Bloom has the longest history of studying, research, development with Texas A&M University, and manufacturing nopal juice extract with a trade secret processing procedure of heating, evaporation, and fermentation. When heated with a certain degree and fermented in manufacturing process, it brings out the best in nopal. It makes amino acids more absorbable to human body and create more health benefits synergistically. Drinking raw cactus does not create the health benefits like drinking Desert Bloom Nopal Juice Extract. Some of our distributor asked why not use only half percent (15 times concentration) or even quater percent of concentration to reduce the price and make more profit? Our founders simply do not want to sell water to our customers. When we possess the technology to offer the best, why offer what's second best? At the end, it really doesn't save the customer money. Plus, concentration less than 25X is proven to achieve very little result. 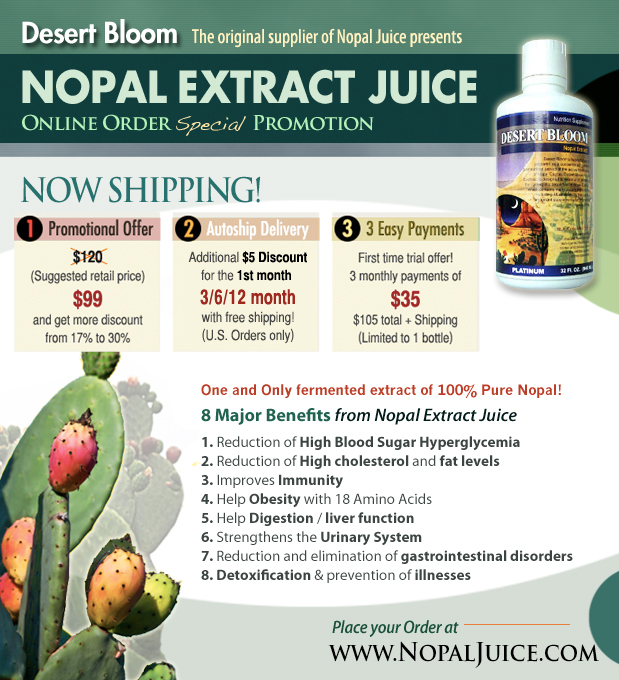 Desert Bloom Nopal Extract Juice customers are paying for the ingredients, not water. 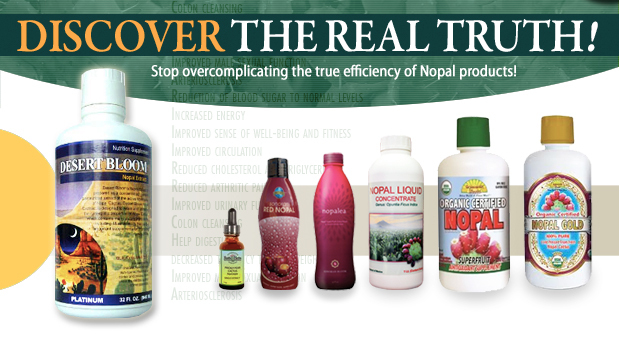 Looking at the unit price, nopal extract juice is generally higher than other brands out there, but it really works the best, achieves results, and saves you money because of the level of concentration and fermentation. It last much longer, usually 1~3 months per bottle depending on your current health condition. It's a 32 oz bottle, after taking 1 oz a day and achieving optimum health condition in 3~6 months, you only need to take 1/3 ~ 1/2 of the amount you used to take for maintenance. This means real savings! One bottle of our Nopal Extract Juice requires an incredible number of nopal cactus to produce; we do not sell water or sqeezed juice to our customers like other competitors on the market. After 18 years of manufacturing the highest concentration nopal juice available on the market, we have incredible testimonials that you can review. 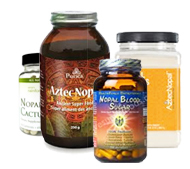 We at Desert Bloom Nopal Extract specialize in nopal juice made with nopal cactus. Many may come to know it as nopalea juice or nopalea cactus because of the TV infomercial. Our Desert Bloom Nopal Juice extract is 30 times more potent than a single strength juice, meaning it works faster and quicker for health improvements and the concentration means saving to the consumer. These health improvements include preventing toe amputation and diabetes amputation because of increasing blood circulation fast. Nopal cactus juice is also a natural aid in weight lose as it contains high fiber content to help curb the appetite and fat build up.